4CH CCTV Multiplexer Quad Video Processor with Loop output The VGA Quad Processor supplies high quality monitoring and and recording by connection up to 4 cameras at the same time. As digital process is applied, if performs the cost-effective system configuration. This VGA Quad processor has typi..
High resolution 8 channel multiplexer with loop-out, remote QD-0803 Supplies high quality monitoring and recordign by connection up to 8 cameras at the same time. As digital process is applied, it performs the cost-effective system configuration. 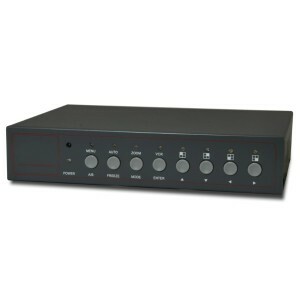 QD-0803 has typical Multi Processor function ..
High resolution 16 channel multiplexer with loop-out VGA, BNC , Remote QD1616 supplies high quality monitoring and recording by connection up to 16 cameras at the same time. As digital process is applied, it performs the cost-effective system configuration. MU-TP-TMP-16 has typical Mul..
HDMI 4 input 1 output Matrix Switcher for HDMI devices, Control upto 4 DVR's in One Monitor HDM2 is the perfect way to get ultimate flexibility and integration out of your surveillance system. You can plug up to four HDMI sources (NVR or DVR) and USB controls into the Matrix for single&..
HDMI 4 input 1 output Quad and Multi-viewer,Seamless Matrix Switcher Parts # BL HM41E The HDMI Quad Multi-viewer allows you to display HDMI video signals from 4 different sources onto one HDTV. Its support Quad/POP/full screen with 6 modes, the special feature built in auto switching..